Mayweather vs Pacquiao, the so called Fight of the Century, is only 2 days away. The build-up, the money, the media circus surrounding the fight are all potential distractions, so how might the pound for pound kings keep their focus for the biggest fight of their lives. Our Boxing Science sport psychologists Pete Olusoga and Rory Mack discuss methods and strategies to remain focussed on the biggest stage of them all. But what does matter the most when preparing for the fight of your life? What should you keep your focus on? Winning? Making weight? Eating right? Getting enough sleep? With so many things running round an athlete’s head in the build up to an important competition, it’s sometimes difficult to know what to focus on. In this article, we’ll be giving you some hints and tips for developing your ability to focus on what’s important. Now whoever you’ve picked to win the ‘Fight of the Century’, there’s no denying that both of these guys are supremely talented fighters. So maybe, just maybe, the battle of the minds will play a part. Who will be best at keeping their focus on what matters most? The key thing really, is how you see these thoughts – are they negative and distracting, or are they ‘just thoughts’ that come and go and don’t necessarily mean anything? So let’s say you want to develop your own focus cues that you could use in the ring for a particular fight. The first stage is to decide where you want your focus to be. In previous articles we’ve talked about the need to ‘control the controllables’, so it’s best that your focus cues relate to things that you can control! Perhaps you want to focus on something technical, or maybe it’s something physical. Perhaps it’s something more to do with your mind-set or your mental approach to the fight. Dominate the centre of the ring? Stay light on your feet? Keep using the jab? Maybe thinking back to the ‘four corners’ might be useful. Once you’ve decided what your areas of focus are, come up with one cue word for each of those things – ‘Dominate’, ‘Glide’, ‘Sting’ – but make sure these words are particularly meaningful for you. Remember the ‘game plan’ used prior to Kell Brook’s world title victory? It’s really important to practice using your focus cues in training. Get comfortable with them long before fight night. See what works and what doesn’t work for you and change your cues if you need to. But remember that your focus cues should be simple and tailored specifically to you if they’re going to help you maintain focus on the task at hand. 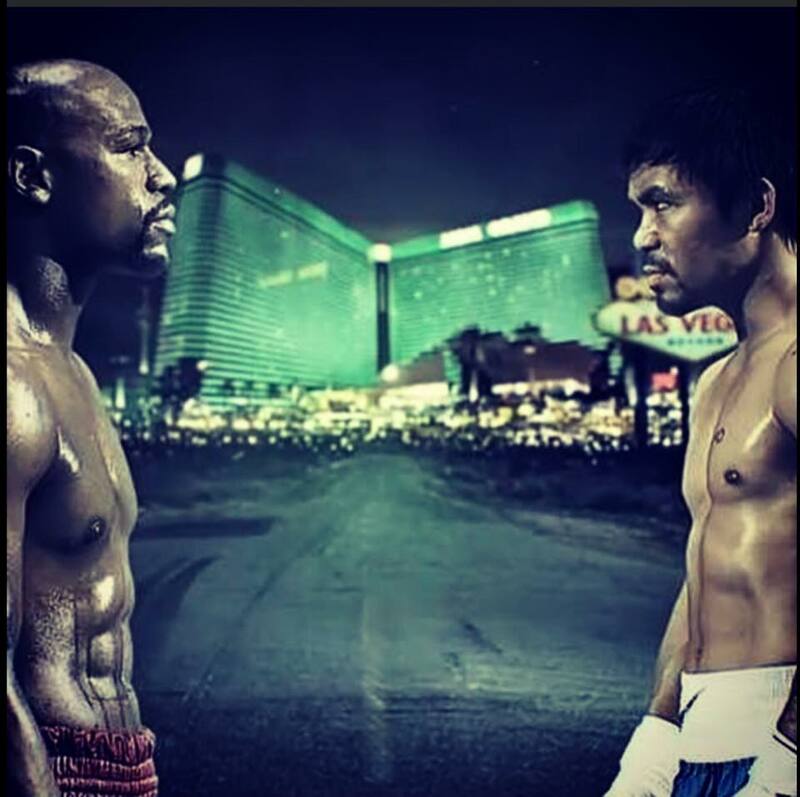 Keep tuned this week for more #WeekOfTheCentury articles… check out post’s from earlier in the week HERE and look out for us tomorrow where we will be breaking down Mayweather’s and Pacquiao’s preparation in ‘Training Camp Analysis’. Anthony Joshua - Size Matters?